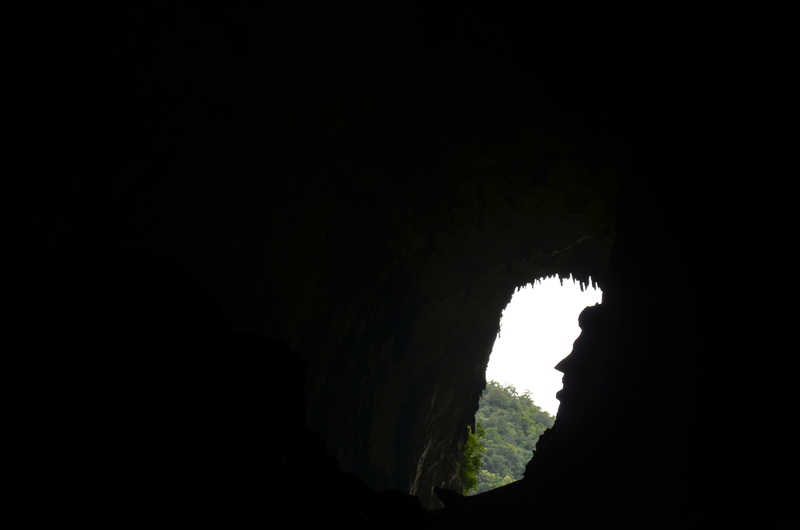 Mulu – Deer Cave and the 3 million bats! 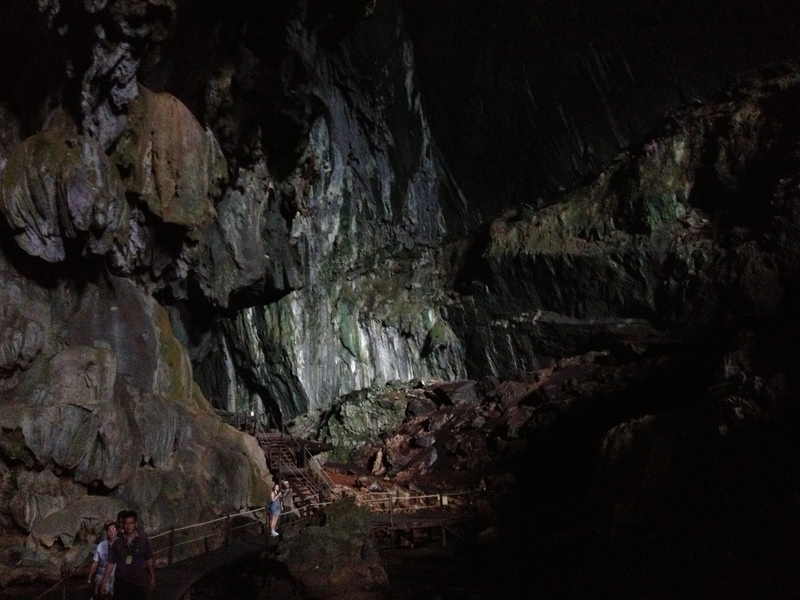 Hands down, Mulu is one of the coolest places I’ve ever been! It is the middle of the jungle. There’s only about 700 people who live in the area and they’re all there for the world heritage location. The first thing we realised was that we were in the jungle. There’s only three ways to get into the jungle. You can fly, which is what we did, take a local long boat… or walk. But what you’ll find is something really magical. 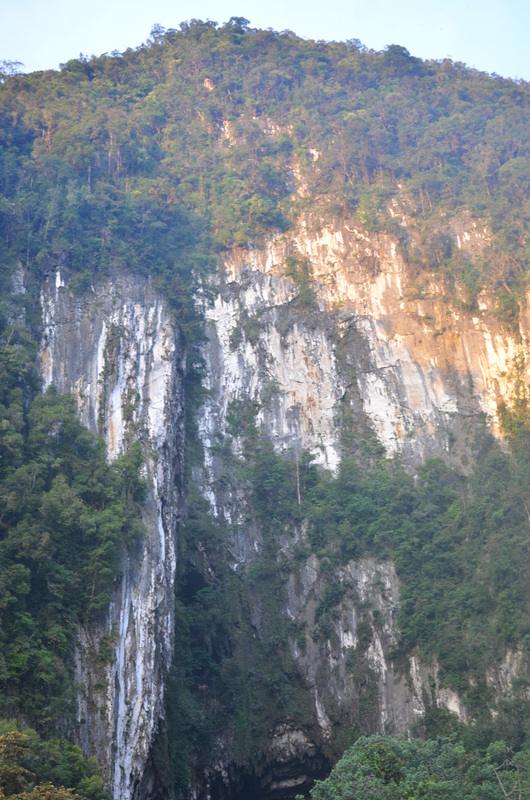 In the side of the mountain is a giant gaping hole formed by a running river over thousands of years! If you look at the picture closely, you’ll see that on the bottom left of the image are people. Yep, not kidding, that’s how BIG the cave is. Insane, right? 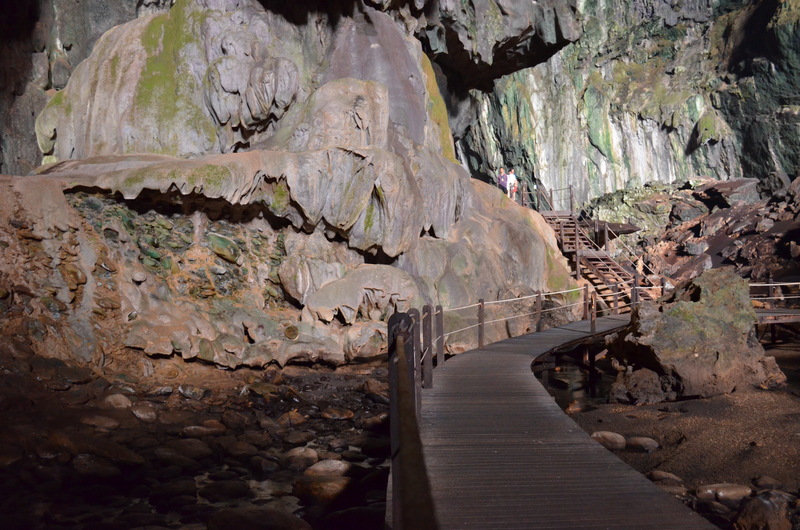 There’s a great walk way that takes you around the whole cave. Guano, or bad droppings, covers the ground, but the walk ways do a great job keeping you out of it. It’s actually called Deer Cave – because the deer would go to the cave in search of salt. And where did the salt come from? 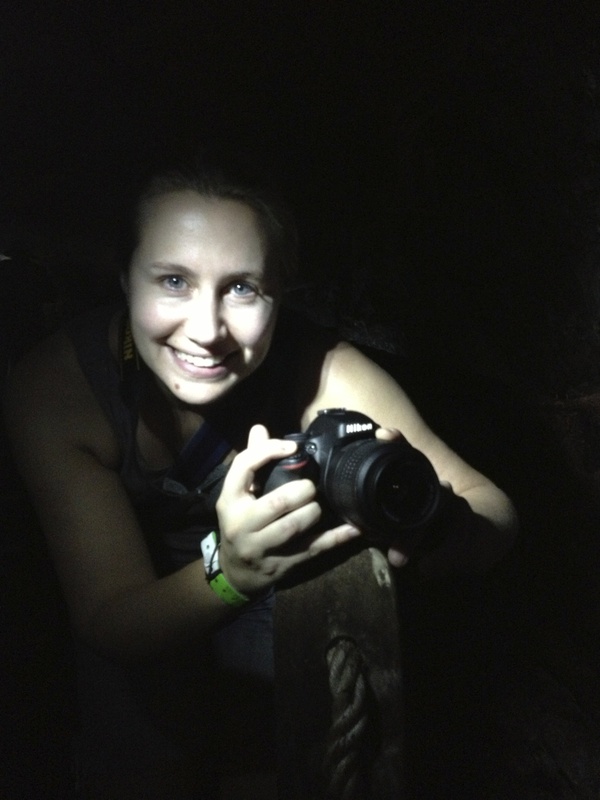 The bad droppings, but not just any bats, three million bats call this cave their home. Abraham Lincoln even makes an appearance in the cave. 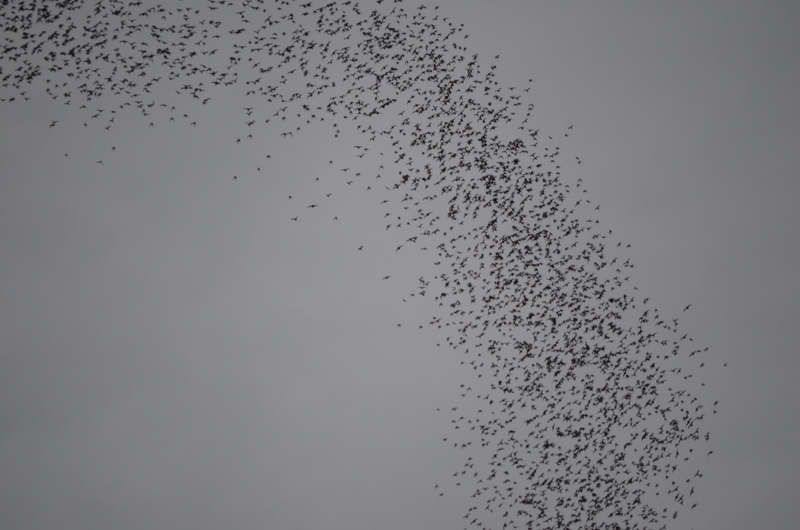 So when the bats get hungry, they start to leave the cave in groups of thousands. The exit the cave and swarm out front in a circle – this helps them stay together as a group and not to get eaten by the hawks that linger near. After the group is big enough, the lift off into the air creating some pretty spectacular formations. 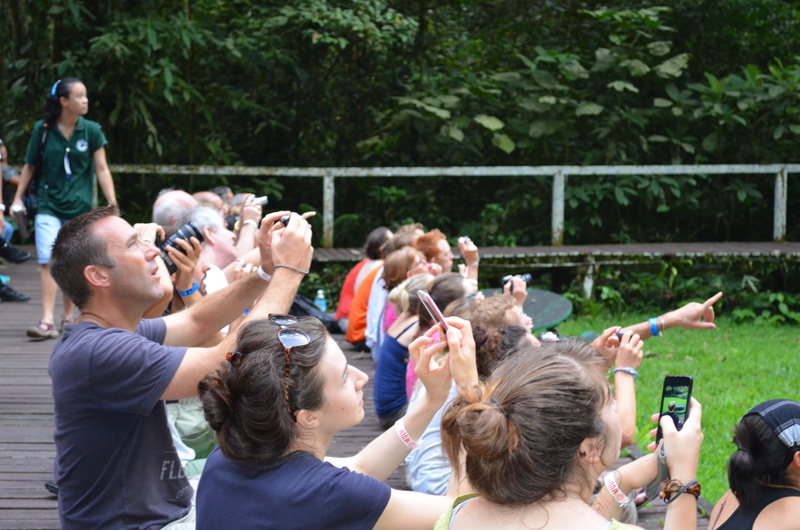 It’s amazing to see the spectators watching the bats in awe. Next Next post: Your best haircut ever – overseas! I went there way back in 1989!!! Accom was a open log hut. Toilets were long drops, “showers” were a tap with a scoop! Over a wooden slat floor with the local crooks running underneath and drinking the water. We’re were the only tourists there, three of us. 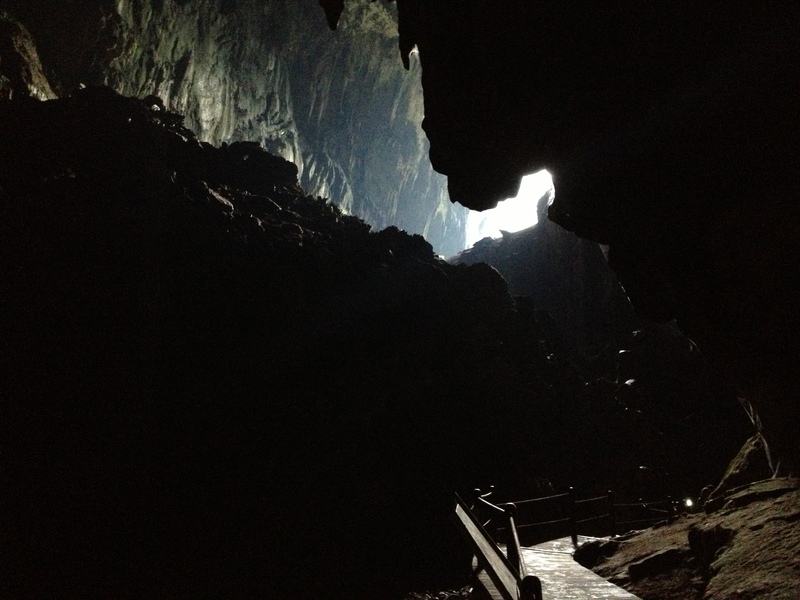 The bats were amazing, the cave was amazing, I still have amazing memories, the locals were on really long thin stilts inside the cave collecting the swallow nests, to sell for birds nest soup. They had candles to light the way, there was no electricity! Was an amaIng experience, way back the. 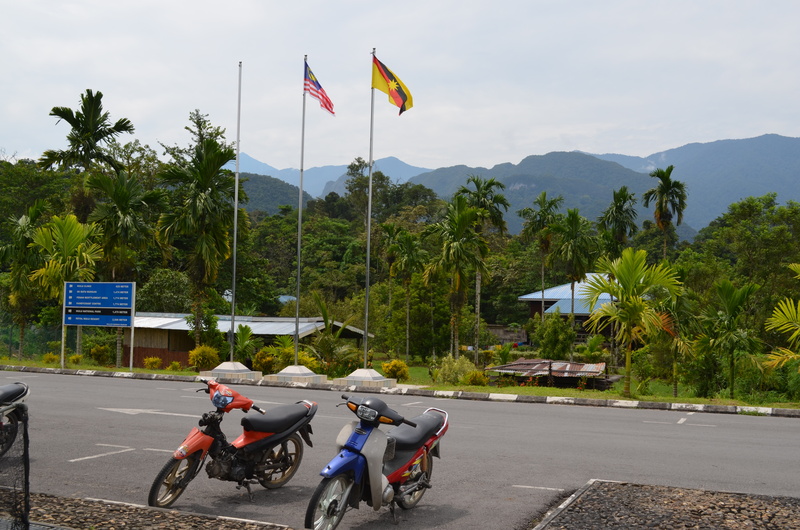 When I was a young 24yr old backpacker … what an adventure it was. Woah. That sounds amazing. 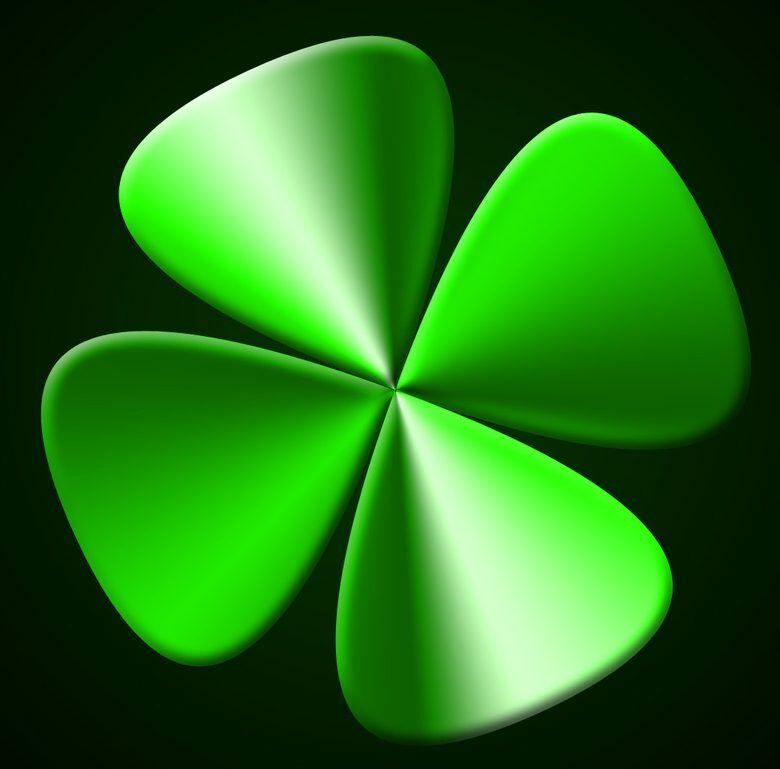 Have you written about your experience? If not, you should!